Meet Laura, one of our travel experts for Aruba. 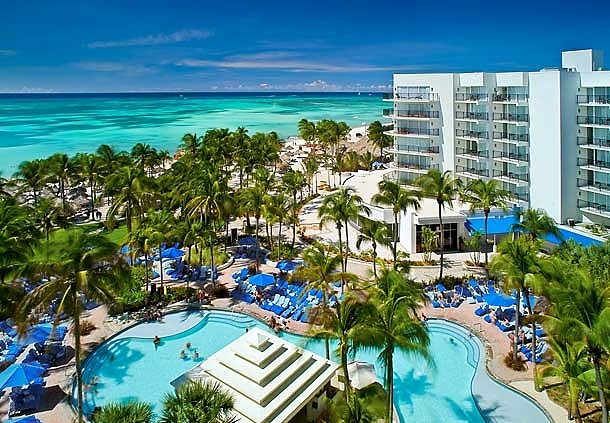 Aruba is below the hurricane belt in the southern Caribbean, with 82F degree days year-round. Brides Magazine named it one of the world's top honeymoon destinations, and US News & World Report ranked Aruba among the best for family vacations in the Caribbean. Scuba Diving Magazine recognized Aruba as one of the top wreck diving destinations. Arikok National Park is the largest national park in the Caribbean, covering roughly 20% of Aruba. The cuisine is influenced by more than 90 countries, with flavors from South America, Europe, and the Caribbean.